Why did this visitor's dog suddenly become so sick? So far, the vet doesn't seem to know why, and the dog's owner is searching for answers on what made her pet ill.
My two-year-old Chow Chow returned from the park with my husband after some exercise and play. Suddenly the dog sat down and would not move. We had to carry her to put her in the car. She would not eat either. She was breathing short breathes, and she kept closing her eyes. We rushed her to the vet and found her temperature was 105 degrees. The vet put her on an IV drip and gave her an antibiotic shot. The vet went over her thoroughly, but couldn't feel anything wrong. Blood was drawn, and we took her home. The ride was about an hour, and she slept for another two hours. When she woke up it was as if nothing had ever happened. The vet is testing her for Lyme disease and leptospirosis. She had diarrhea just once before we took her to the vet, and she also vomited a tiny bit. Do you have any idea what this could have been? Lyme disease does present with some of the symptoms you've described, especially the fever and sudden lameness. The bacteria from the tick takes some time to build up in the bloodstream, so the tick is often long gone before symptoms are noticed. This may well be your culprit. Your dog may have even begun to run a fever before she went to the park. The exercise could have accelerated the symptoms, including her temperature. The fact that your dog was feeling so much better after her long nap could also be attributed to the antibiotics she was injected with. An injection gets the medicine right into the bloodstream to work immediately, unlike pills that have to be digested. I'm also wondering if your dog might have eaten something in the park that could have slightly poisoned her? You did say she threw up a little. If there was a bit of mushroom or something else toxic in her tummy, the vomiting would have kept some of the toxin from being digested, and would explain why she had a bad reaction, but didn't succumb. I hope your vet is able to tell you something conclusive about what happened to your dog after the tests come back. In the meantime, I'd skip the dog park until you have a better idea of what happened. Thanks for your question, and I truly hope you dog has a full and lasting recovery. Could Vet Have Sent Dog Home With Heat Stroke? 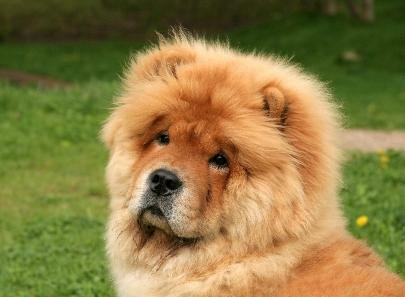 I wrote a few days ago about my Chow Chow that was sick. Well, after the vet sent her back home with us when she still had a 105 degree temperature I wasn't satisfied with the suggestion that she had lyme disease or lepto. So, I spent days on the Internet and finally realized that she had heat stroke. Now I understand more about heat stroke than I ever wanted to know. CAUTION! This is a very serious situation to watch for. My question to you is this. Is it true that once a dog has heat stroke it is easier to get it in the future? What is the best treatment in the weeks following one of these episodes? Also, I am never seeing that vet again! Although your dog's symptoms do seem to fit the profile for heat stroke, I would have thought that would have been one of the first things your vet would have checked for considering the combination of fever and panting. Your original question didn't mention it, but did you give your vet your dog's history for the previous 24 hours, including the trip to the park? What was the temperature while your husband and dog were out that day? Yes, heat stroke is extremely dangerous, and is far easier to develop again within the proceeding weeks after the initial case. This is because your dog's system has been compromised and won't be able to recover as well from more heat exposure. For now, I'd skip strenuous outside activities, and give your dog a month or two to recuperate inside where it's cool. Freshen the water bowl every two hours or so to encourage continued normal fluid intake. In the future, you'll want to limit your dog's heat exposure and always carry a water source with you when you take him for exercise. Watch your dog closely for any signs of stress during these times and end the session as soon as he begins panting more than usual. Back to your vet. I think you should call him to discuss your thoughts on the heat stroke and see what his opinion is about it. Based on his answers, you can decide whether you truly need to find a new vet.